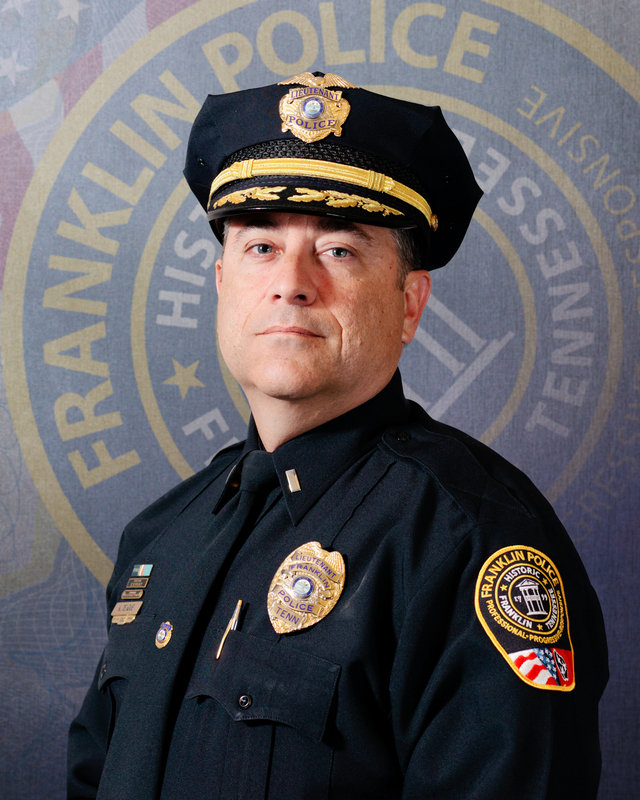 Franklin, TN – Friends, family, and fellow officers will meet at Police Headquarters Thursday afternoon at 1:30 to celebrate the career of retiring Franklin Police Lieutenant Kevin Teague, whose first day on the job was October 2, 1989. Lieutenant Teague’s distinguished career has included assignments to Criminal Investigations, Administration and Support Services, and Field Operations – where as a Special Operations Lieutenant, he most recently managed the Department’s SWAT Team, K9 Unit, and Flex Team. Lt. Teague served as interim Deputy Chief of the Department’s Field Operations Division from October, 2013 to January, 2015. Other special assignments during his tenure include the 21st Judicial Drug Task Force and the Department’s Field Training Unit. Lt. Teague is a proud graduate of the prestigious FBI National Academy. After graduating from Franklin High School in 1985, Lt. Teague served in the United States Army as an AH-64 Apache Helicopter Co-pilot/gunner until 1989. Born and raised in Franklin, Lt. Teague and his wife of 27 years, Jennifer, have three children: Tiffany, Tristan, and Ansley, and one grandchild: Landry.